One of the bigest problems that any business seems to face is the need for floor space. It is very expensive to buildin the first place, considering the permits and the inspections required by the state. Yes, you might need to build a new office, but can you really expand your building out ten feet to claim it? Would it be practical? Could you get the permit to do so? More importantly, would you really want to risk shutting down current business operations just to get it done? If that answer to any or all of these is no, then you may want to start looking at a prefabricated in-plant office. 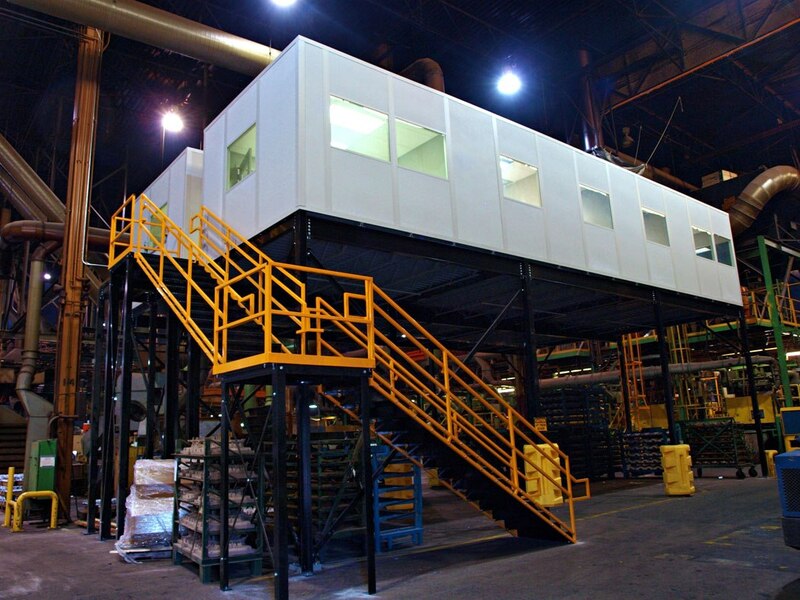 A prefabricated in-plant office is actually a pretty amazing thing to have in any warehouse or factory building, and all you will need to do is clear a little bit of floor space inside. Once you have yours installed, youw ill find that the interior can be just was warm and cozy as any office, even if it is surrounded by factory grade machinery. It might sound unbelievable, but it is absolutely true! Before you can purchase one of thse however, you will want to make sure that it actually meets your needs. For example, do you need it to be perfectly soundproof?To be perfectly honest, not all people will require it, but if you have built your prefab office in the center of the factory floor, you will undoubtedly want to invest in some sort of sound proofing. There are many different types of modular office buidings, from large, to small, and even multi-level. When your building was created you might have considered building heiht an important factor, which will actually help you out considerably here. If you can find the space wtithin your operation, you will be able to create high-end multi-level structures which contain several different offices. You have the option to create a mezzanine type multi-story inplant office(s), or you can simply go ahead and stack your offices. It may be a lot of work, but in the end you will a nice, clean working environment that is separate from your work force, but still somehow equal. It is important to keep in mind that while you are supervising, you want your work force to feel that you are still somehow involved in their everyday lives, and this is precisely what multi-story inplant office(s) will help to accomplish. You will ge the clean, quiet work environment you have always wanted, and you will also be nearby in the event that someone needs you. Communication with your wrok force is vital – especaily face to face communication. Companies that sell multi-story inplant offices are actually self contained, which is to say they should have a different environment than the rest of the factory floor. The installation of a separate heating and air conditioning unit will be necessary, and once you have it installed, you will find that it is much easier to work. 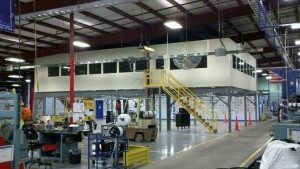 There is far more to installing a prefabricated modular office than simply setting it down in the middle of the factory. Climate control and electricity also need to be considered as you are essentially building an office within an office. Before you install any sort of modular installation, yo make sure you asses your needs. For example, will you be able to run an ethernet cable to the modular building for internet, and if not, will you able to utilize wireless internet with thei nsulation in the walls? If not, then it might be a good idea for you to look into installing a wireless HUB of some type in your modular office. The costs of these modular installations are not outrageous, however you will need to consider that it is going to be different every single time. It will be important for you to discuss these prices with your manufacturer and they will help you to consider your options. For example, how large do you need your office to be, do you need their help wiring it? Will you be assembling it yourself? Will you need sound proofing? All of these are highly important questions that you will need to ask before you can perform your installation. That being said, now would be a great timeto start looking into yor options. These installations have been performed for years, and as such there is a prefabricated office to suit anyone’s needs. Large, small, or multi-level, you will find yourself to be rigth at home once the installation is complete. Start looking into the dfifferent modular options today and begin building tomorrow. It won’t be long before you have your own private corner of the warehouse.